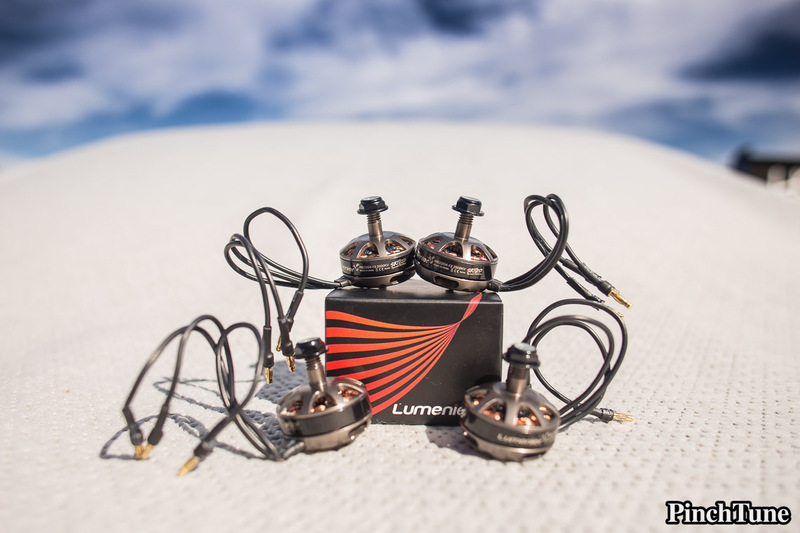 Just the other day I got a set of the new Lumenier RB2204-13 2500kv Skitzo motors. And heck yes they are gorgeous motors. Expensive? True. Beautiful? Absolutely. A lot of people are complaining they are super expensive. I’m not going to blame them, they kinda are. I paid the pre-order price of $28.99. Only for me, it wasn’t a pre-order. I happened to place my order and that same day the shipment arrived. Lucky me. Yes, it’s a lot of money compared to my old Cobra motors. However, to make me feel better I started thinking about the time when mini quads took off (before the Cobra 2204 motors). Back then the popular motors were all T-Motor and way more expensive than $29 a piece. Also, I wanted a motor that was fast and light. These are going to go in my Impulse RC Alien 5 FPV build. I didn’t want it to feel underpowered. I’m also going for the lightest build I can. These motors seem to offer both things — lots of power and super low weight. 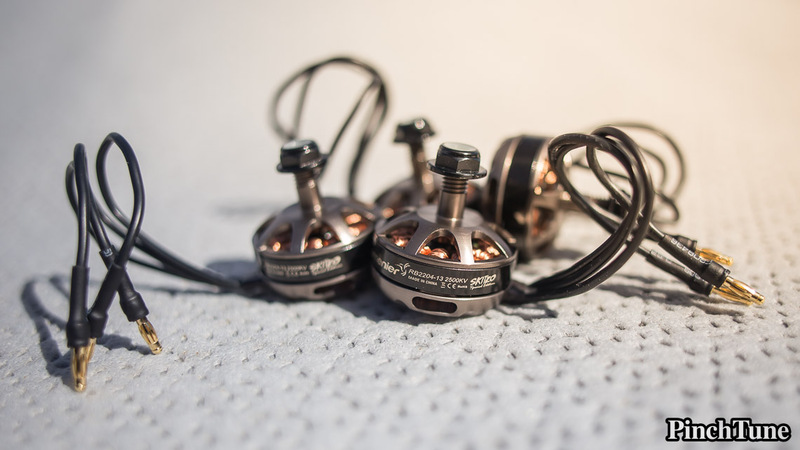 While only cosmetic, the gunmetal finish of the Skitzo motors is stunning. If you are going for the biggest bling factor for your next mini quad build, these motors could be the ticket. I put the Lumenier Skitzo motors on my postal scale and each read 21 grams with the long wires and bullets. My scale is great, but it could be off plus or minus 1 gram. Still, super light. The thrust numbers look really good too. 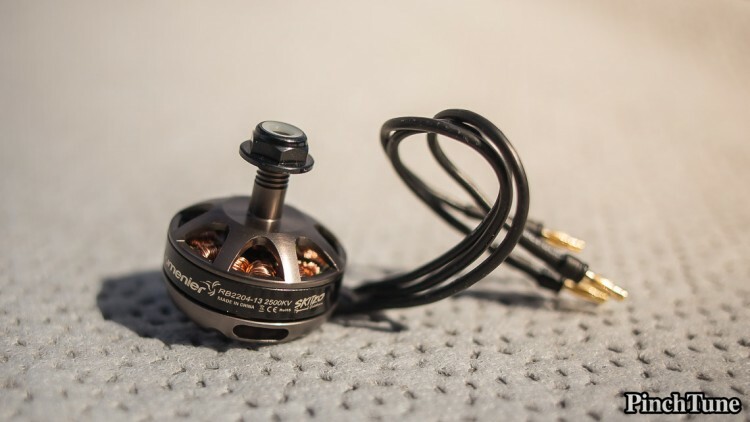 After all, at 2500kv, the aim of the Skitzo motors seems to be to dethrone the popular Cobras at 2300kv. According to the chart provided by GetFPV, these should be pushing 962 grams on 4S batteries using HQ 5x4x3 props. That, pulling 24.8 amps at each corner. I’ll be running these with the newest Flyduino KISS 24A race edition ESCs. To complete the package, the quad’s going to fly the new KISS FC (KISS Flight Controller). Needless to say, I can’t wait. Too bad it takes me forever to complete a build because I’m so detailed and everything needs to be perfect. Anyway, the point of this post is to show off the motors. I just finished a QAV210 racing quad today so I’m going to get to work on the Alien now. I’ll have flight experience on these very soon. 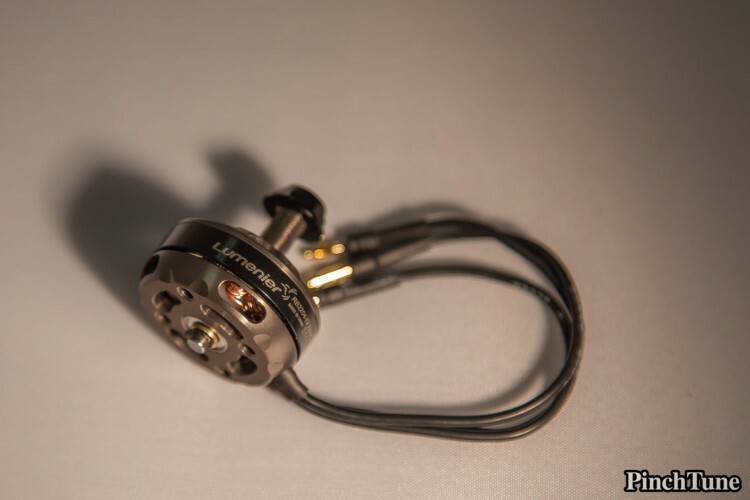 For now, enjoy the pretty pictures of the new Skitzo motors.